Mrs Winifred Oyo-Ita, the Head of Civil Service of the Federation, has expressed concern over lack of human capacity building in the nation’s Civil Service. 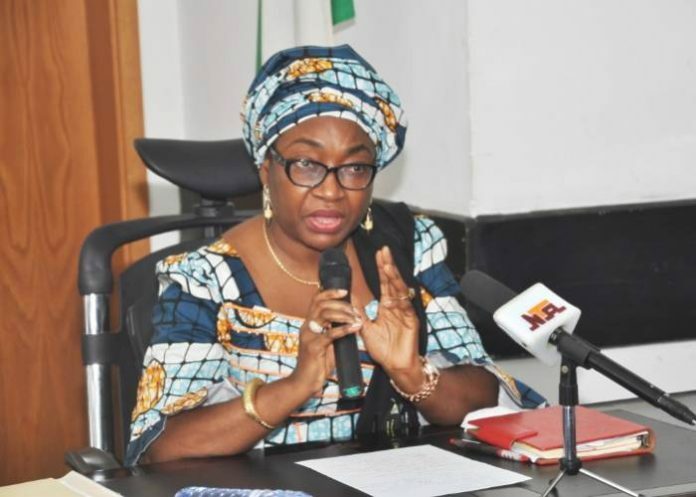 Oyo-Ita, who was represented by Mrs Anne Atta, an official, made this assertion at a two-day Training on Protocol Procedures for Official and Public Functions on Thursday in Abuja. She said the training was organised to enlighten participants on the issue of Protocol Procedure for Official Functions and to learn best practices in image making. “At the bedrock of implementing the Federal Civil Service Strategy and Implementation Plan is the issue of capacity building as human capital is the greatest resource the country has, even above oil. “The civil service over the years have been faced with capacity deficit and I am afraid it may get worse if the challenge was not diligently tackled. “As protocol officers you are also the image makers of the service and country. A little slip in protocol application and etiquette can become a monumental national embarrassment. “ As the popular maxim goes if you don’t train them don’t blame them, I am happy the process of discharging our own part by delivering training has started with this batch,” she said. She urged the participants to put in their best during the training as they would be held accountable for any protocol slip henceforth. In his remarks, Amb. Akin Oyateru, Executive Director, Nolkin Consulting said that the training was to restore the lost glory in protocol procedure. Oyateru, who was the facilitator of the training, added that over the years some deficiencies have been noticed in protocol practice and we want to bridge that gap to boost service delivery. He explained that protocol was an essential image-making tool and a mechanism through which an organisation was portrayed to the world. He added that training was the hall mark of any successful civil service. Some of the participants who spoke on the training described it as “educative and enlightening”. Malam Kabir Sanusi of the Office of the Secretary to the Government of the Federation (OSGF) described the training as “unique”, thanking the Head of Service for the initiative. According to Sanusi, the training has exposed him to wrong practices that were hitherto taken for the right thing or the norm. Another participant, Ms Uche Iwuala of the Federal Civil Service Commission (FCSC), said she took her participation in the training as a privilege and she has learnt more protocol principles. She said the training gave her an opportunity to update herself on protocol procedure. She said she learned about best practices in anchoring and choice of words to use in the course of their jobs. The News Agency of Nigeria reports that 70 officers drawn from various Ministries Departments and Agencies (MDAs) participated in the training.